Join IDE’S Office of Inclusive Engagement for our Inclusion and Belonging Series. 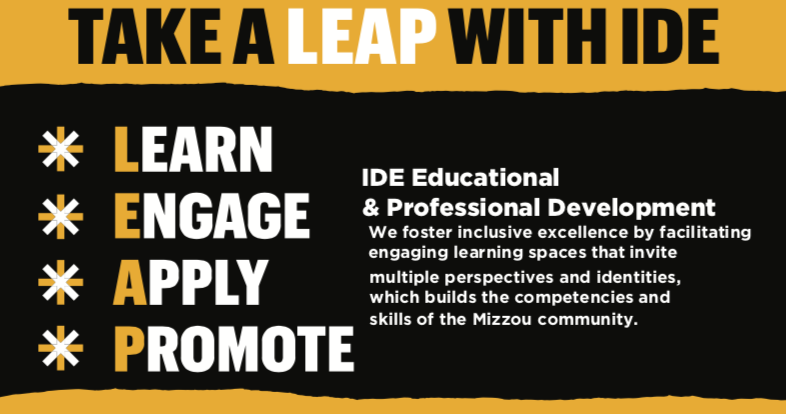 The purpose of the series is to nurture personal, professional and community development to enhance belonging at Mizzou. The series seeks to create spaces for participants to develop inclusive strategies and deepen community connections on campus. Feb. 7: MLK’s Legacy: Where Do We Go From Here? Pre-Registration is required for all sessions. Participants must attend at least three presentations to earn a Certificate of Completion.